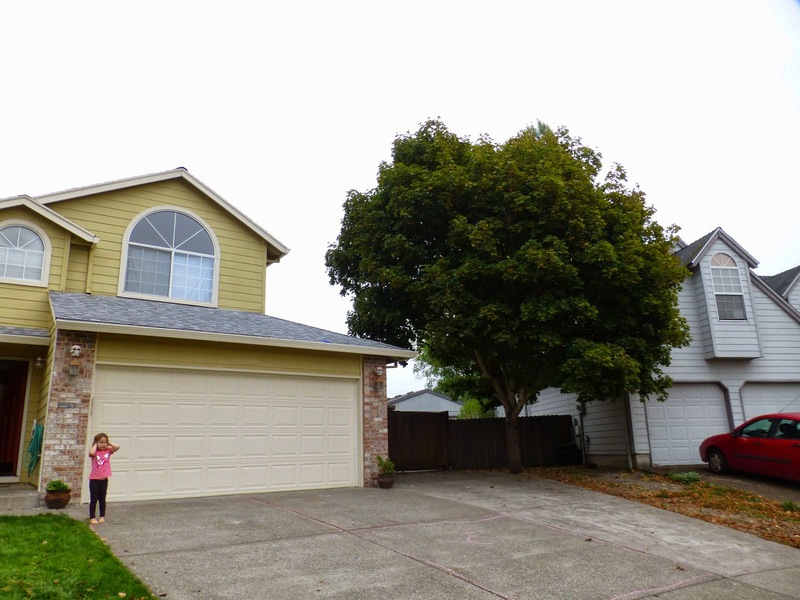 When we moved into our house back in aught-one, the maple tree between our house and the neighbor’s house was a nice small shade tree. Since then it has grown, as trees are wont to do, and cracked our concrete and is breaking through the little box it was planted in. It also dumps leaves in our gutters and pretty much makes a mess with flowers and samaras all year. Still it was difficult for me to accept that it needed to be removed. Learning that it is an invasive species called Norway Maple—why do we allow stores to sell invasives? made it a little easier. Still, I have a fondness for maple trees. When we were kids, we had a large maple tree (not sure which variety) that stood in our front yard. It was an inviting tree with a wide trunk and one low hanging branch that I could reach by holding on to the girth of the tree, wedging a foot against it and springing up. It had many big branches, one of which supported a rope swing. It was a second home to four monkeys and often hosted neighboring monkeys as well. Little Amy, tree climbing monkey extraordinaire. I have many warm memories of hanging out in that tree. I felt utterly safe and untouchable there. My imagination ignited, as I pressed knots blasting our spaceship to the moon. Later in life, Dad told me he would cringe and look away as I slipped through the tree branches and jumped to grab the rope and shimmy down. I think about how easy it would have been for him to forbid me to climb, because my antics scared him, but I'm forever grateful he didn't. 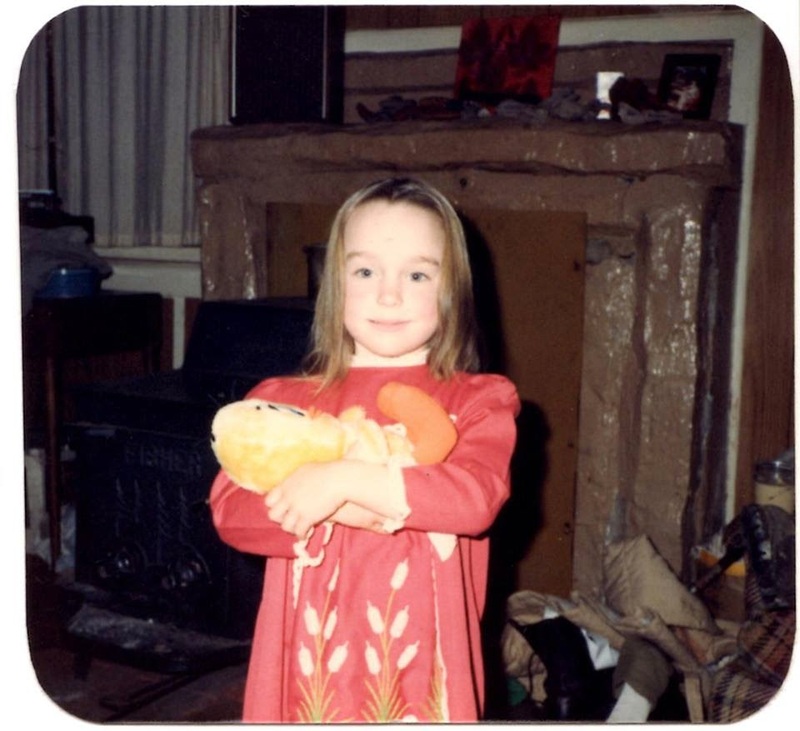 None of us ever fell out or were otherwise hurt, and it's central to many of my favorite childhood memories. I remember Tellis Lawson climbing the tree with us and falling out, landing flat on his back with his wind knocked out. He was the last grown-up to attempt climbing with us. My brother carved our initials in one of the scaffold branches. We once tied a yellow rope from the maple to the neighboring conifer, cedar perhaps, I don't quite remember. We tried to slide, zip-line style, but found we had the angle wrong and that the rope wasn't slippery enough. So we modified the angle and applied a lubricant (butter) and whee! I watched the ants march up the bark, watched the daffodils push-up through the packed earth every spring, while I waited for leaves, then watch them turn yellow and fall. No wonder I felt like crying when my step-cousin Johnnie Lee told me, “Amy, they cut down our tree!” Apparently the old tree had to be put down due to some variety of rot. Sigh. This morning, Jose from NW Tree Specialists arrived bright and early. He asked me, “Which tree is it?” I brought him over. He nodded, retrieved his pole saw and fired it up. Zing, zing, zing. Down fell the branches one by one. Once, I wondered if a branch would fall on the neighbor’s car, I needn't have worried, Jose put in a face and back cut then it plopped down on the concrete safe and sound. Berzo and I pulled up chairs a safe distance away and watched. Neighbors popped in and out to discuss the happenings. Soon the arborists fired up their chipper and BBRRRRRUUMMM, the hungry machine ate everything they fed it. The noise sent Berzo under her blanket. 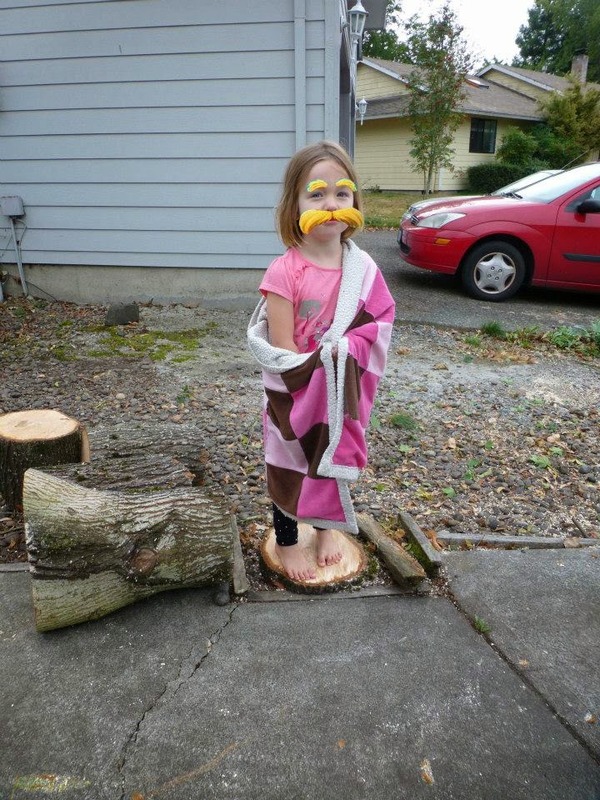 I was a nervous for Jose when she shimmied up our tree and with his chainsaw and limbed the rest of it from there. He had a flair for showmanship, as he grabbed a branch with one hand, had the saw running in the other, then whipping the huge branches away just as the saw came through. Then his helper hauled them and fed them to the machine. About a dozen big trailer loads of material disappeared in there. Finally all that stood was a naked trunk. Then that was felled too, with efficient precision. 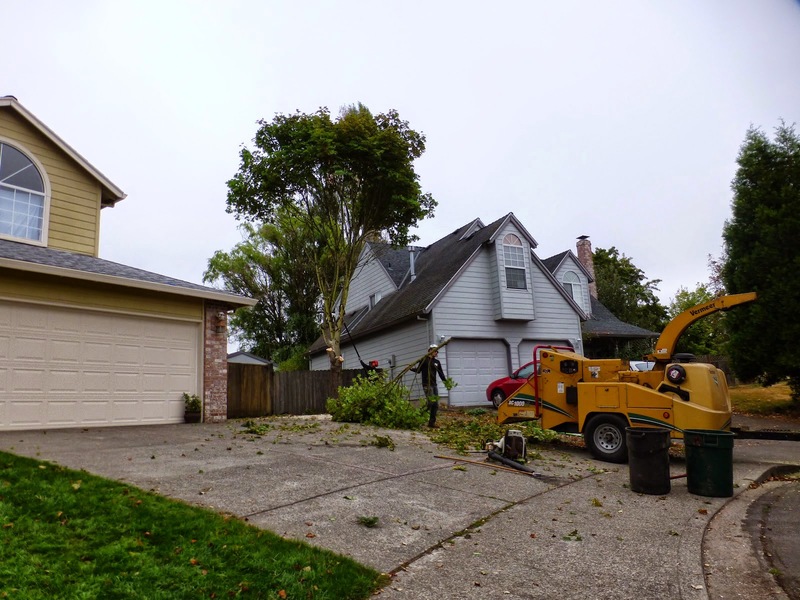 The two men raked up the leaves and brought out a leaf blower, leaving the driveway cleaner than before they arrived. In all, in about forty-five minutes a large tree was reduced to four small rounds and a truck full of chips. I thanked Jose and his helper and they roared out of our neighborhood, and that was that. The day of the Oysterville Regatta dawned gray. Sure it would soon burn off, my littlest, Berzo, and I walked through the quiet to the Oysterville Store for a treat. A light mist followed us there. As we threw sticks for Bhima and visited with Greg, the sun tried to pull through. I was certain it would. On the way back to the Cordray’s house, the sky darkened as the clouds filled their basins, then they opened the spigots—right on our heads. I hoisted Berzo to my back and trotted back, laughing along with other wayward morning walkers. Oysterville is simply dusting herself off for her big day today. Thankfully, that's exactly what happened. 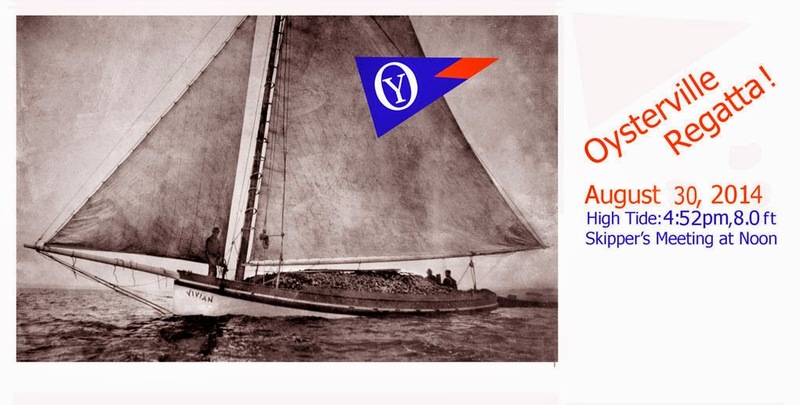 The regattas of Oysterville's heyday were organized by the Shoalwater Bay Yacht Club in the early 1870’s. Nearly all the oystermen participated in the much anticipated thirty-mile race. The boom of the town cannon sent majestic plungers and their crew of sailors swooping across the water in hopes of winning a silver cup. The ships were captained by such familiar names as Loomis, Crellin, and Stream. My husband's ancestor likely captained his plunger, The Vivian, in the races. Afterward, the village turned out for the “...Regatta Ball, remembered as the crowning social event of the season.” Images of America, Oysterville, by Sydney Stevens. The Oysterville Regattas of today are organized by the Tucker, Carol and family. Although contemporary regattas are of a more modest scale, they have lost none of the villager's enthusiasm. 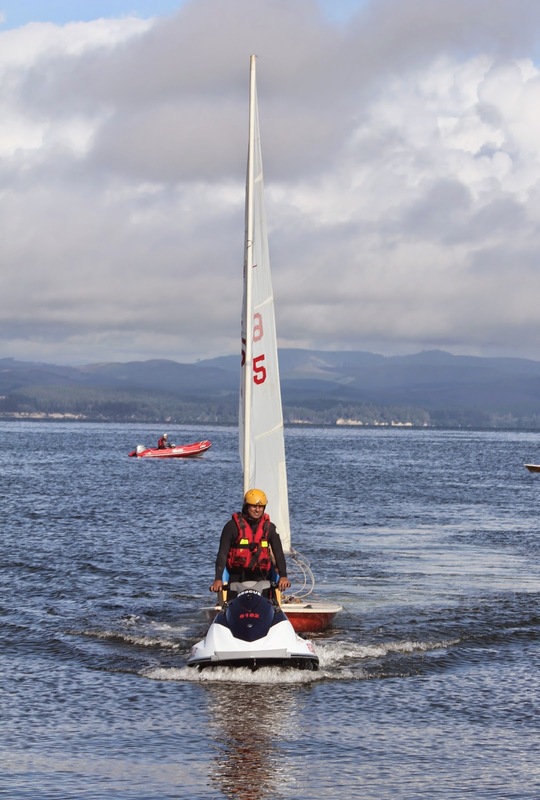 Today, an air horn blast sends Laser class sailboats, gliding towards the first buoy in the race. The triangular course is just shy of two miles and requires not only sailing expertise but stamina, as each captain, without the benefit of a crew, must complete three full races. The committee boat volunteers tally points for each finisher based on their finishing order for each race, e.g. the first place finisher receives one point. The sailor with the fewest points at the end of the race wins The Oyster Cup. In the event of a tie, sailors are ranked by best finishing position. Today's Oyster Cup trophy is an actual oyster cocktail cup, vintage, from Dan & Louis' Oysterbar. 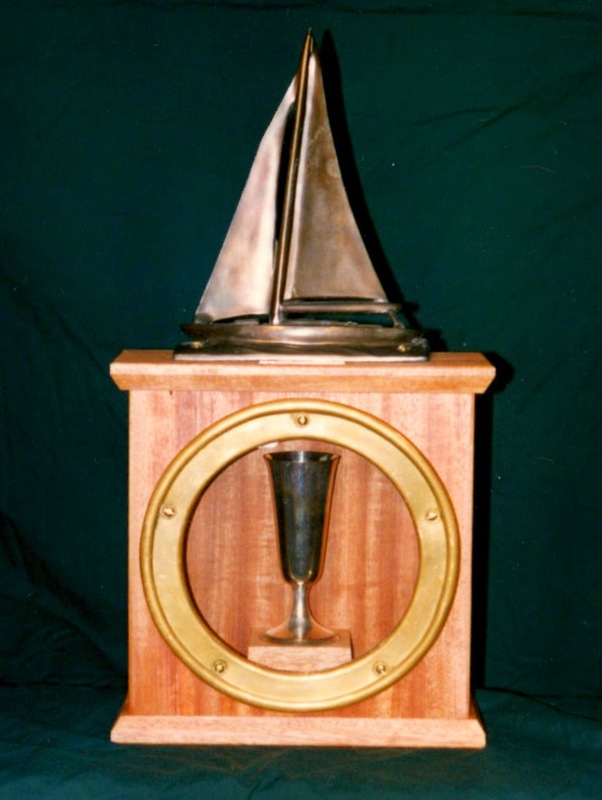 The cup is encased in a beautiful wooden box, built by Charley, and crowned with a bronze sculpture of a sloop, donated by Dave Williams. The back of the trophy has engraved placards for each past winner dating back to 1996. A coveted prize indeed. One that for several years was not won by a person of Oysterville. 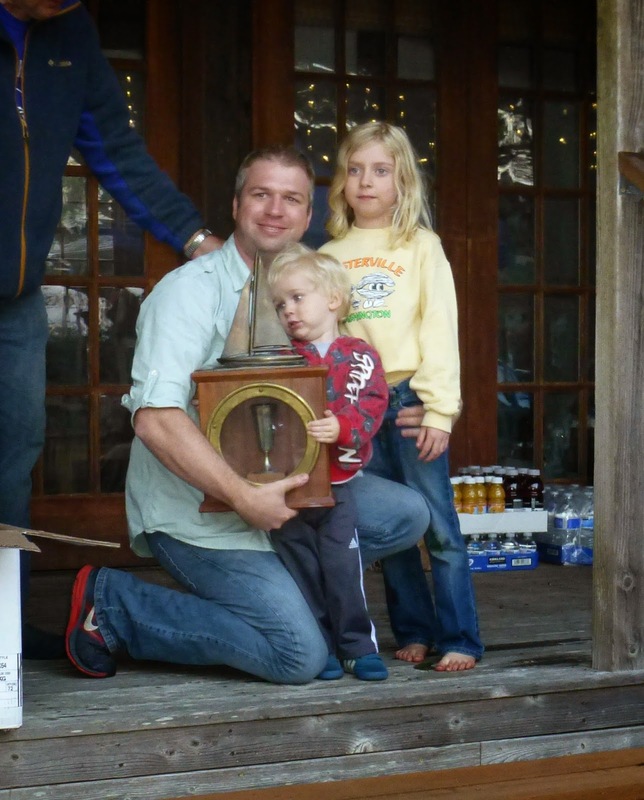 “Ringers,” invited by Oysterville sailors, seemed to be taking home the cup every year. To maintain interest, Tucker fashioned a new trophy to be awarded to the best scoring Oysterville sailor. He built it with the intention of giving it to the first person who won it three times. As it happened, Tucker, himself, won it three times in a row and decided to retire the lovely trophy to his mantel. The third trophy is a stained glass piece depicting a blue heron in flight. This work of art is presented to the best scoring, experienced skipper who has yet to win the Oyster Cup. Oysterville sparkled as the captains of this year's regatta met at the Skipper's Meeting at noon. Here, the rules of the races are explained, safety personnel and committee boat persons introduced. Tucker then explained the race layout, using orange Whiffle balls as buoys and wooden squares for boats. Terry and Janice, who man the committee boat, explained the air horn signals and scoring. The experienced sailors had few questions and the meeting was wrapped up in short order. 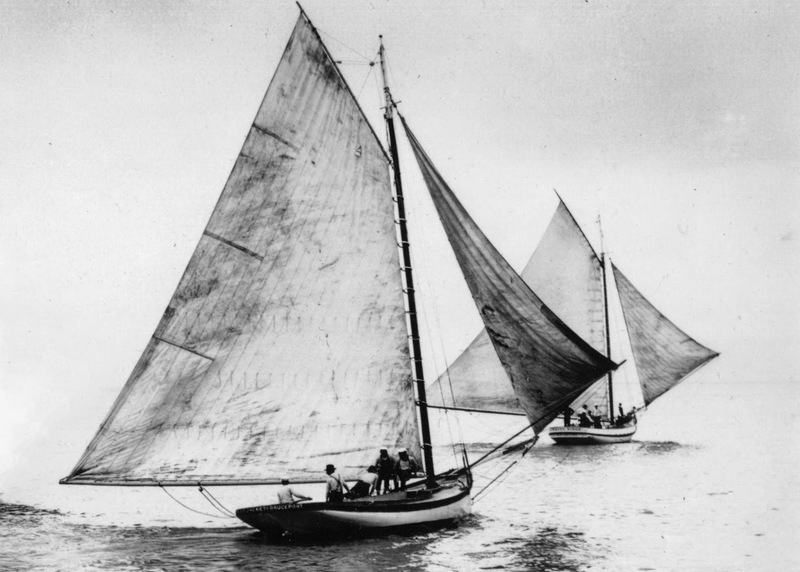 About 2 p.m., the skippers suited up and headed to Shoalwater Bay, hauling down their sails and lines to rig their boats. My girls bounced in delight at the activity and the prospect of spending the rest of the day playing in the bay. About 3 p.m., the spectators began to line up at the end of Clay Street and pick out positions for watching the race. A line of colorful chairs greeted us as we began to set up. Armed with spotting scopes, binoculars, and squinting eyes, the spectators cheered for the racers, and asked/speculated with each other who was who, and who finished where, and otherwise enjoyed the exceptionally nice weather and equally nice company. We all agreed that the first place finisher of the first race was Clark, Clark again for the second race, and Collin for the third race, with Betsy always nipping at their keels. The rest of the details were sketchy at best. The races were particularly exciting this year. The sailors were well matched, the boats were in tight groups, changing position frequently adding to the excitement. The South Pacific County Technical Rescue Team towed Alan Dees and his ailing boat in with a wave runner. Alan quickly righted his rigging problem and rejoined the races. Later the scene was repeated as Matt Nixon rode in behind the wave runner. He joined the spectators and regaled us with a first hand account of the three challenging races, as the remaining sailors fought for finishing position on the final race. After the races the village retired to the Cordray front yard for the Regatta Banquet and awards ceremony. I’m not sure what the Regatta Balls of the 1870's were like, but I'm certain they did not rival the food prepared by Lina and her crew. Lina plans the menus, enlists a crew of family and friends including, Carol, Amber, Sue, and their families to prepare food for a village. I have attended many top dollar, catered events that paled in comparison to the fare presented here. 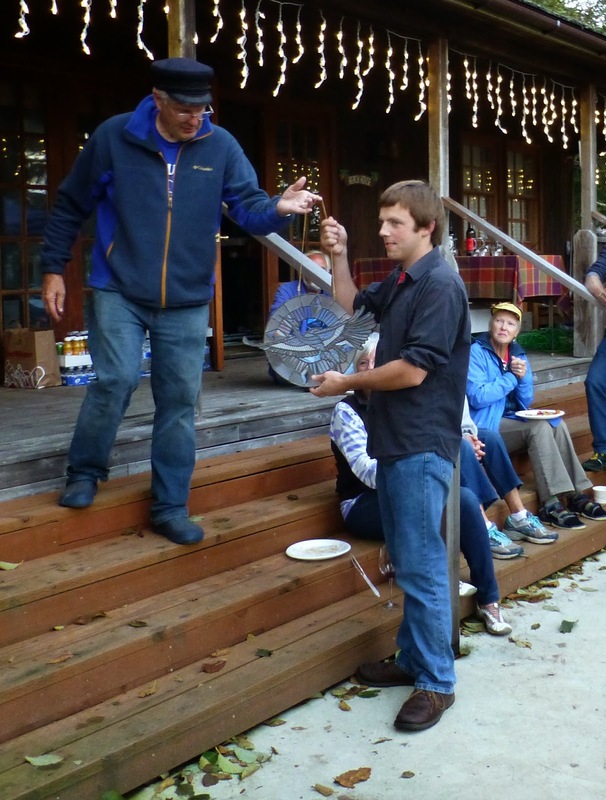 While the guests dined, Tucker presented regatta tee-shirts of his own design to the third place winner, Betsy Nordquist, then the second place and stained glass trophy winner Collin, and finally a tee-shirt and the Oyster Cup to his son, Clark. Then Tucker presented tee-shirts to each of the race participants and to those who helped out with the banquet. The sun made her excuses and went to bed, the fire pit glowed with friendly warmth and voices rose and fell in conversation and laughter. The leftover food was stowed away, the stars twinkled their hellos as people drifted through the village to their homes. Guitar chords and voices floated through the night air. When the new year is young and days are still short, Tucker will look at the tide tables for 2015 and find an afternoon tide in August that is somewhere close to eight feet. After choosing, he'll design another beautiful invitation and send them out to over fifty families. I'm already looking forward to pinning it on our refrigerator. It is certainly a date to save. Source for historical information: Images of America, Oysterville, by Sydney Stevens. Source for contemporary information: Tucker. Ten or more years ago my friend Stephanie handed me a brochure for the Rice Northwest Museum of Rocks and Minerals, then extolled the many virtues of their collection. Knowing I'm interested in natural sciences, I'm sure she thought we'd make a visit right away. However being the poor planners that we are, Charley and I never went—despite that it is conveniently located, affordable, and really, really neat. This summer wasn't going to get away from me without taking my girls on a visit to this museum. This being the last week in summer, I thought we should maybe get started on that… So Monday we decided we were going. Then I checked their website. They are open Wednesday through Sunday 1-5 p.m. Humm, Monday is out. 1 p.m.-5 p.m.? Seriously? That's smack dab during cranky time—not for the girls—me. My energy level dips early afternoon and I'm usually sporting a low grade headache… You get the idea. Despite all of the geologic wonders, I couldn't help but feel as though I slipped into the set the Brady Bunch. When we first stepped into the Brady Bunch house, the retro-house smell permeates (not-unpleasant) as you gaze at the glass case lined walls, filled with pieces of meteorites and other specimens. Sensing that my attention was elsewhere, Berzo started tugging on my arm and banging on the glass doors. Uh-oh, I thought, this isn't going to go so well. Berzo couldn't see much, being a shorty, and I was worried that everything was going to be boring displays behind glass. If it can't be touched, hefted, smelled, and in some instances, tasted, it may as well not exist to a toddler. I needn't have worried. Once we passed through the initial hallways, the museum opened up with many items that could be touched and manipulated. Right away there was a large chunk of meteorite on a table. Touching something that fell to the earth from outer space is really not overrated. The table was framed with little doors to lift. Each handle was a different rock that was a possible answer to the question, (which I don't remember) and the display underneath told you if your guess was correct. Berzo lifted them all. Mom, I'm touching dinosaur poo! The walls were all lined with glass cases loaded with interesting rock and mineral specimens, the doors of which boomed alarmingly every time Berzo pushed on or hit the glass. We didn't linger too long in the "observation only" areas. Boot's favorite specimen was a fossil hoof and bones from an early horse, and the coprolites. Several coprolites were out for touching, and the girls thoroughly enjoying handling dinosaur poop. They also had an impressive nest of dinosaur eggs. They were so well preserved they looked as though they might at any moment pop open with baby dinosaurs squalling for their parents to feed them. There was an entire room dedicated to fossilized wood, with lots of ancient forms of palms. Their size and quality were astounding. The fossilized pine cones were pretty darn neat too. In one of the converted bedrooms there is a gallery of phosphorescent rocks that glow under a blacklight. The room cycles from black-light to white-light for comparison. There was this and so much more in just the house portion. There is another separate gallery that has what is possibly the largest, opal filled, geode ever found. It is truly remarkable. Even the girls wowed as they ran their hands on this otherworldly stone. In-between the buildings are paths to explore as well as many of the larger specimens, like a huge basalt pillar, pieces of petrified wood and much more. In the middle is a rock pile that invites burgeoning young rock-hounds to dig for a souvenir to take home—for free. Boots got something that looks like a petrified wood and Berzo got a sparkly blue rock. I love my rock I found in the rock pile! The Brady's (oops, I mean Rice's) garage has been converted into a gift shop. Inside are plenty of rocks, books and even fossils in slabs of slate (want) for sale. Berzo chose a pretty yellow crystal called calcite ($2), and Boots got an unopened geode($3). We attempted to crack it when we got home but have been as of yet, unsuccessful. The museum is located on the north side of Highway 26 just a short dash from Hillsboro. The admission is reasonable at eight dollars per adult, and six per child, (four years old and under are free). We will certainly go back again. Older kids will love it but it is also fun and reasonably safe for toddlers, most of the reachable specimens are tethered by wires and the glass doors are strong, Berzo personally tested them. We will certainly be regular visitors. See you there.